In the month of October, we saw the launch of many new watches namely from Laurent Ferrier, Junghans, Tiffany & Co, MB&F, Zenith. 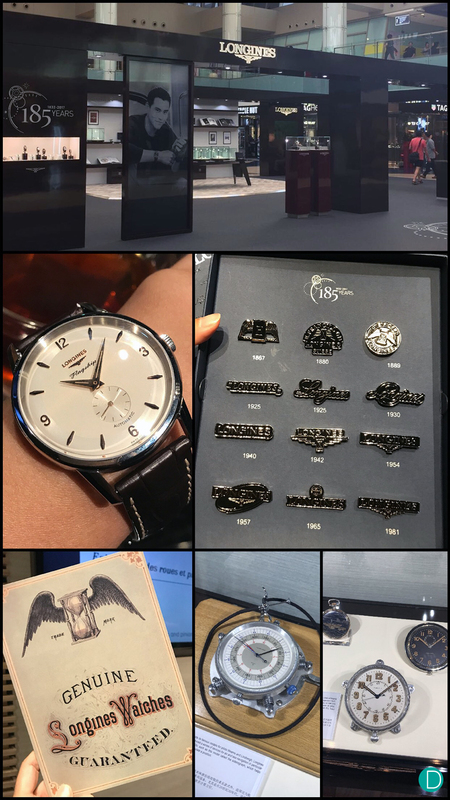 We also took time to revisit some perennial favourites from A. Lange & Söhne, Longines as well as Hermès, through their well put-together exhibits. 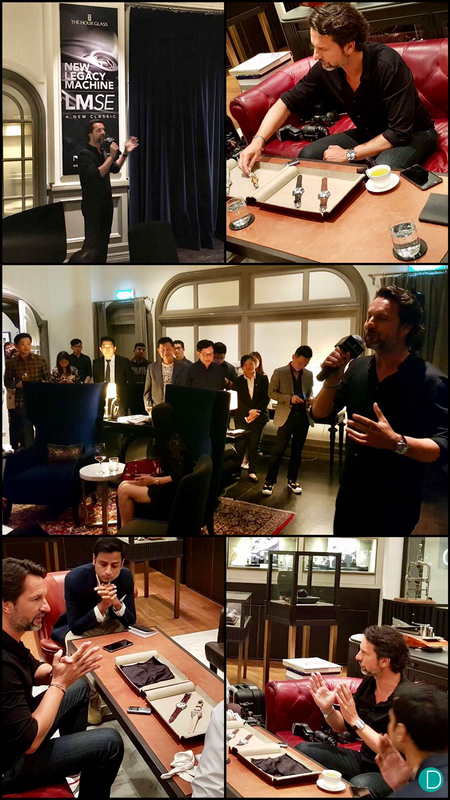 Media and collectors welcomed Christian Ferrier to Singapore to introduce the Singapore edition of the Galet Regulateur, the first-ever designed by the brand to resemble a pocket watch. With its clean lines, contrasting subdials and subtle indices it now comes in a rose gold case for the special edition, made for sale only in Singapore by Sincere Fine Watches. For more information on the watch please visit here. 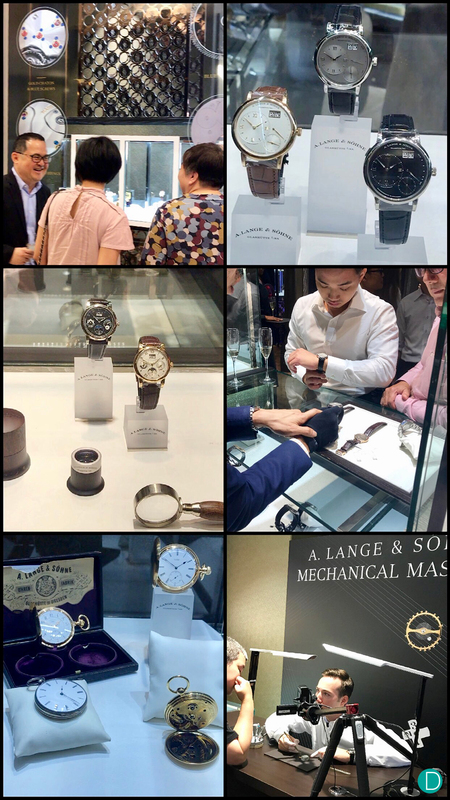 The Junghans Max Bill launch was held at the Watches of Switzerland Vivocity store. 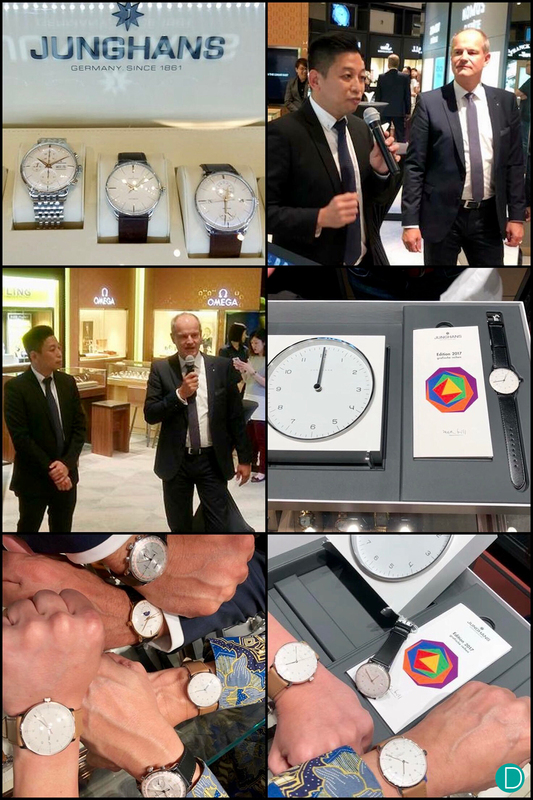 The event was opened by Deputy General Manager of The Hour Glass (Watches of Switzerland is a subsidiary of THG) and Matthias Stotz, CEO of Junghans. 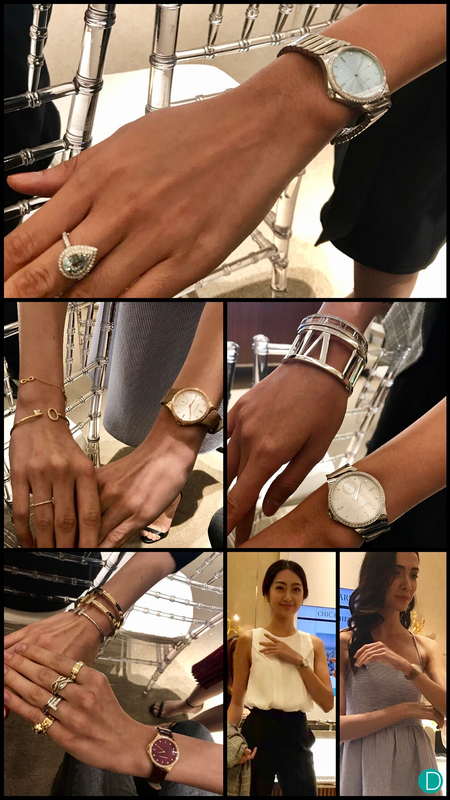 The event saw the unveiling of the Junghans Max Bill Limited Edition 2017 – Clock and Watch Set. .
Tiffany & Co introduced their latest collection, the Metro watch with an evening of personal styling as shown by professional models, using accessories from the house. The evening was aptly named “Cocktails at Tiffany”, as guests were treated to both canapes and bubbly, as well as a visual treat on sparkly, recognizable jewellery. They were meant to be worn alongside with the new Metro watch collection that signifies refined taste, featuring a brilliant diamond crown in the iconic Tiffany cut on every timepiece. 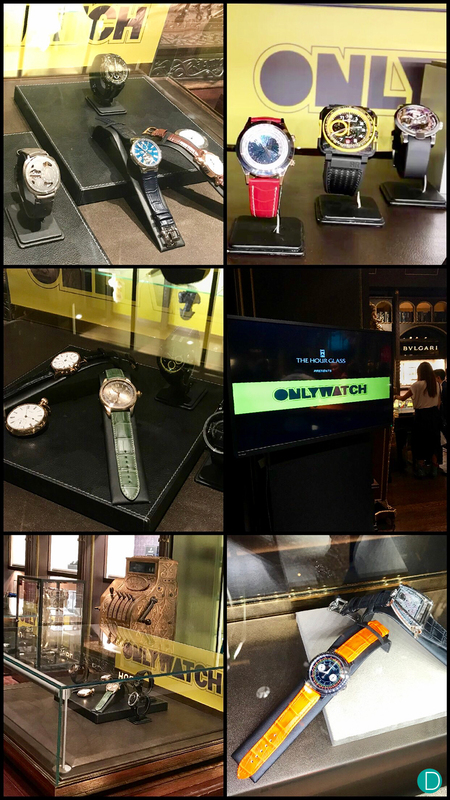 The watches from the Only Watch exhibition made their stop in Singapore at Malmaison by The Hour Glass on the 6th of October. 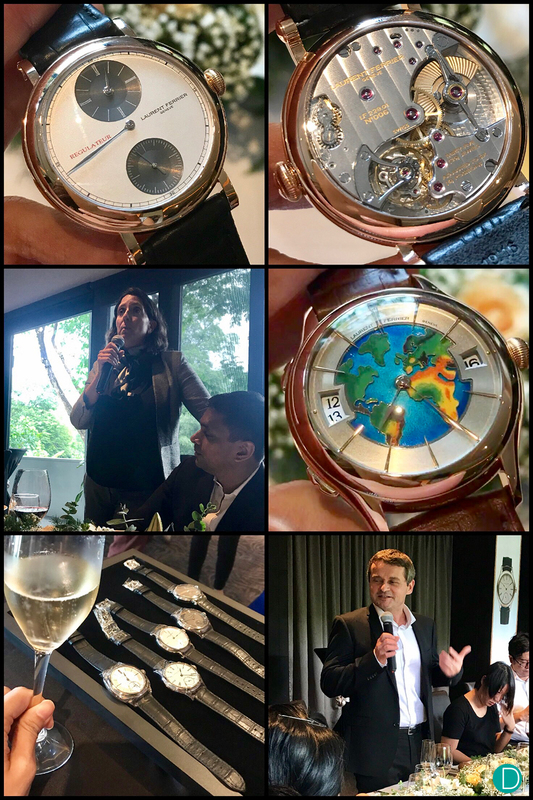 A biennial charity auction, the Only Watch 2017 will endeavour to raise funds to drive research into Duchenne muscular dystrophy (DMD), with Association Monégasque contre les Myopathies as its beneficiary. The 7th edition of auction will take place on 11 November 11 2017 in Geneva to be conducted by Christie’s for the first time. The new Legacy Machine, where Max describes as “A new classic” is one created with a split escapement with the balance wheel suspended above the dial and the anchor under the movement. There are a total of four launch variations, limited to 18 pieces each, with a frosted dial plate in blue, ruthenium, red gold or yellow gold, all presented in a white-gold case. For more information about the watch, please visit here. The inaugural edition of the “100” exhibition was first launched in 2013 with a showcase of 100 Tourbillons, a world first that featured 21 of the finest and most innovative watch brands. The success of the 100 Tourbillons was followed by 100 Complications in 2015, where 22 established and top independent brands were gathered to showcase very best of haute horlogerie through an array of the best and most unique complications. This year, Sincere Fine Watches continues the “100 masterpieces” but as a mono brand series with German watchmaking powerhouse A. Lange & Söhne. 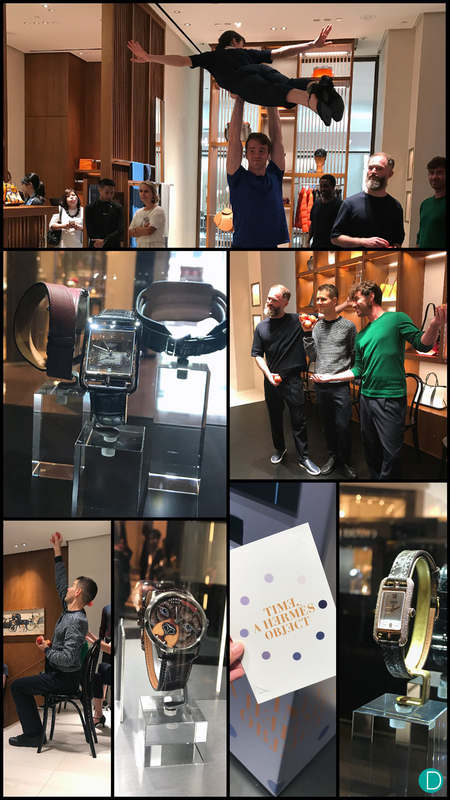 The highlight of the exhibition was naturally the first 4 wristwatches re-created and launched on the 25 October 1994, as well as some vintage pre-war pocket watches from the brand’s archives. For details on the exhibition please visit here. Four independent watchmakers representing the Académie Horlogère des Créateurs Indépendants (AHCI) exhibited at the high profile jewelery festival at Takashimaya. The four were AHCI President Konstantin Chaykin, Vianney Halter, Aaron Becsei and candidate Ludovic Ballouard. The show was open to the public from Oct 6 to 15, and the closing cocktail ceremony was on Saturday October 14. In the Longines 185th anniversary exhibition, visitors can discover the various vintage watch models and timing devices, as well as a range of exceptional photographs, posters, films and archive records. The exhibition was available for public viewing at Marina Square – Central Atrium 17 to 22 Oct, 2017 and will be available again at VivoCity – Central Court A from 14 to 19 Nov 2017. For more details of the exhibition and dates, please visit here. 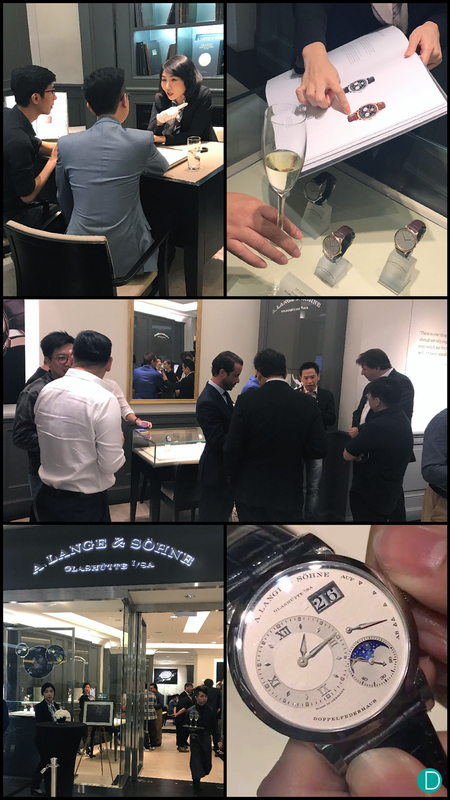 Deployant hosted a private event at the A. Lange & Söhne Boutique in Ion on the 25th October where the 2017 SIHH novelties were shown to the guests. 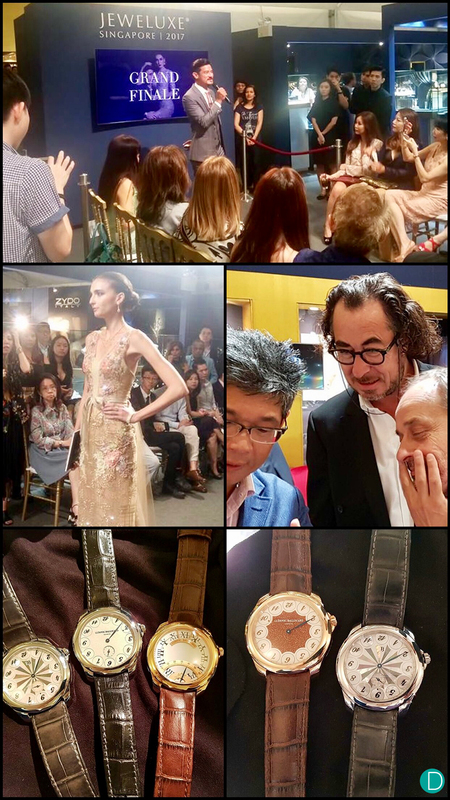 Our Chief Editor, Peter Chong was on hand to introduce the timepieces. Also in attendance was Gaetan Guillosan, President of Lange in Asia, and Anthonie de Haas, Director of Product Development at Lange Uhren. We carried the Welcome speech, introduction by Toni de Haas, and the presentation by Peter Chong on our Instagram Live account @deployant. London-based company Gandini Juggling performed some delightful yet breath-taking acts to officially kick-start the “Time, a Hermès Object” exhibition at Ngee Ann City Atrium, Level 1. The three key highlights of the exhibition are three very different timepieces, showcasing the expertise of Hermès in the areas of watchmaking and design: The Slim d’Hermès L’heure impatiente, a mechanical timepiece with a 60-minute countdown function; The Cape Cod Shadow now in a new, modern black DLC-treated case, and The Slim d’Hermès Grrrrr! a timepiece with the dial made from miniature enamel painting. The exhibition will be available for public viewing till 5 November 2017. For more details of the exhibition please click here. Once a year, the SEVENFRIDAY brings together friends and family from all around the world to celebrate, party and literally #liveSEVENFRIDAY. This year our Olympic-style action took place in beautiful Chiang Mai, Thailand. 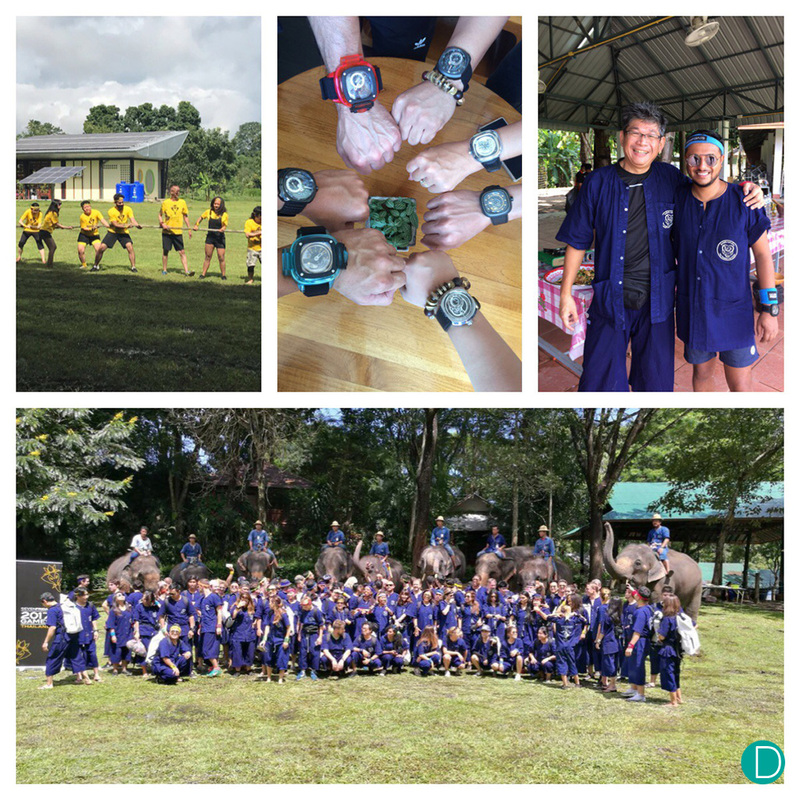 The Games support the Child’s Dream, a charity for the development of children and youth in Myanmar, Laos, Cambodia and Thailand where 100% of the proceeds of the special Games set of SEVENFRIDAY bracelets and sunglasses go to the charity. Much of the stories of the games were covered on our Instagram Stories @deployant. Seven Friday Games in Chiangmai. Omega launched the Seamaster Aquaterra in SIHH 2017, and the South East Asia launch event was held on 19th October in St Regis Hotel in Langkawi, an island resort in Malaysia. Malaysian press and celebrities and Singapore media were present at the launch. We covered the event on our Instagram account @deployant, including the opening speeches and introduction to the Seamaster Aquaterra on our Instagram Stories and Instagram Live. Our full hands-on detailed review of the Omega Aquaterra is found here. 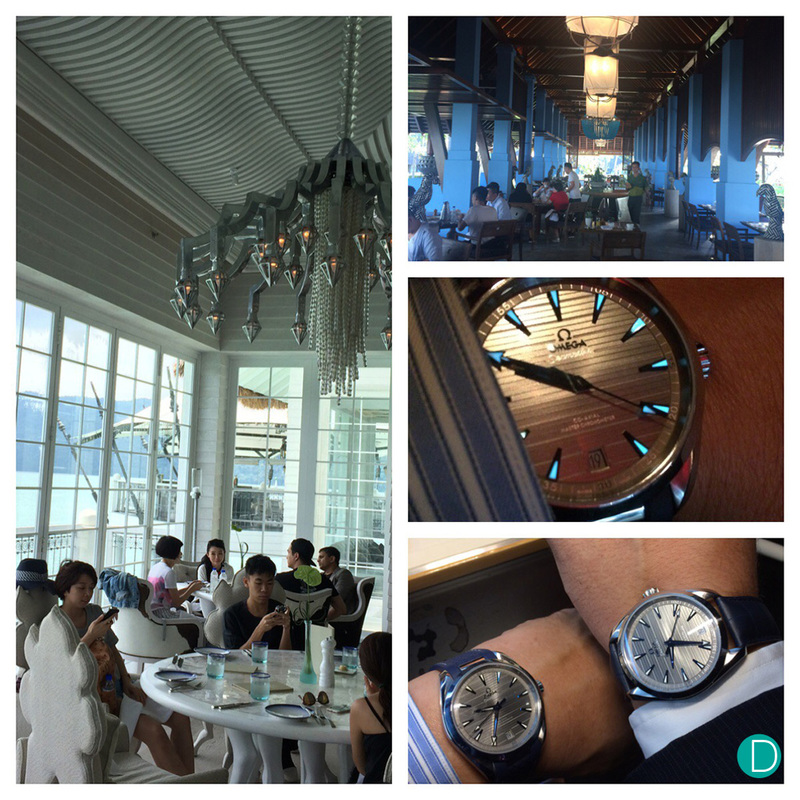 The Omega Aquaterra Asia launch event in Langkawi. As Official Partner of the Gold Coast 2018 Commonwealth Games, Longines is proud to have welcomed the Queen’s Baton in its Boutique in Marina Bay Sands, Singapore. 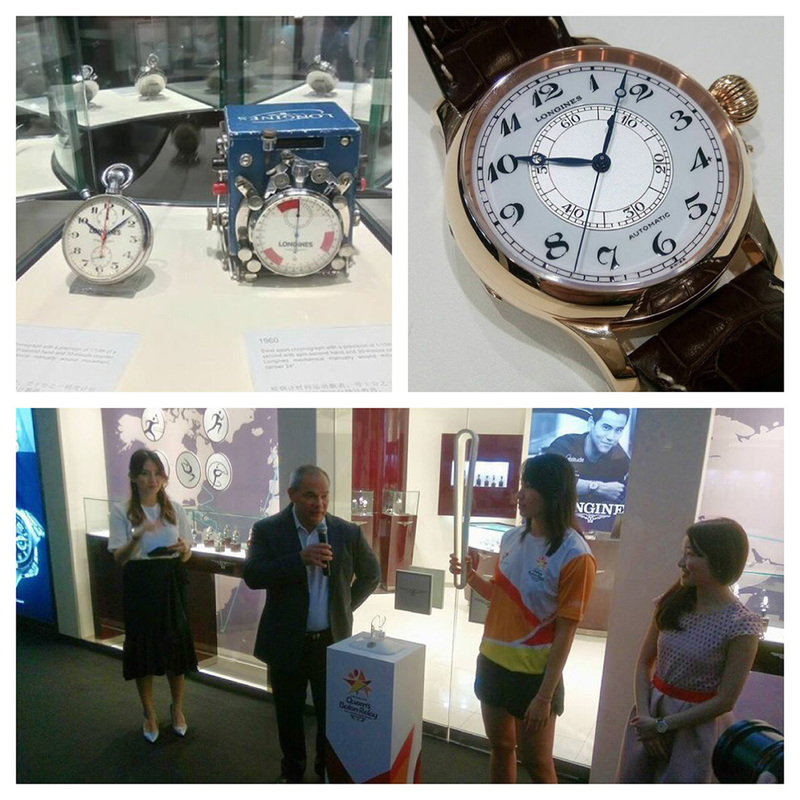 Team Singapore Swimmer Roanne Ho along with Commonwealth Games Singapore Committee accompanied the Swiss watch brand on this occasion. The Singaporean athlete also took part in the Queen’s Baton Relay as Baton Bearer. The Baton carries a message to the athletes from Her Majesty Queen Elizabeth II and is travelling through the nations of the Commonwealth until the beginning of the Games in April 2018. Also on display in the Longines Boutique in Marina Bay Sands is a collection of museum pieces from Longines. Details of the exhibition is found here. The opening speech by Jas Guo, Singapore Brand Manager was carried live on our @deployant instagram account. Pics courtesy of Mr. Willis Liu.